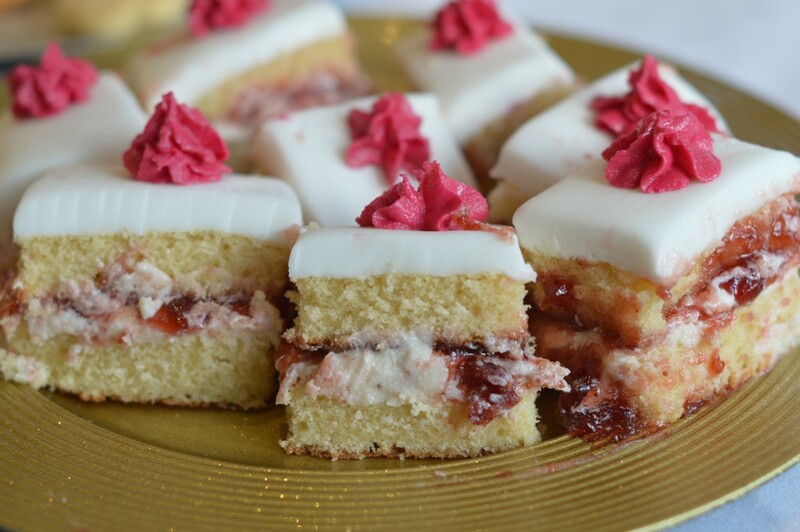 Harness the power of cooking TV shows by hosting your very own Bake Off or a cooking event. Our cooking team building events are fun and totally team focused events! 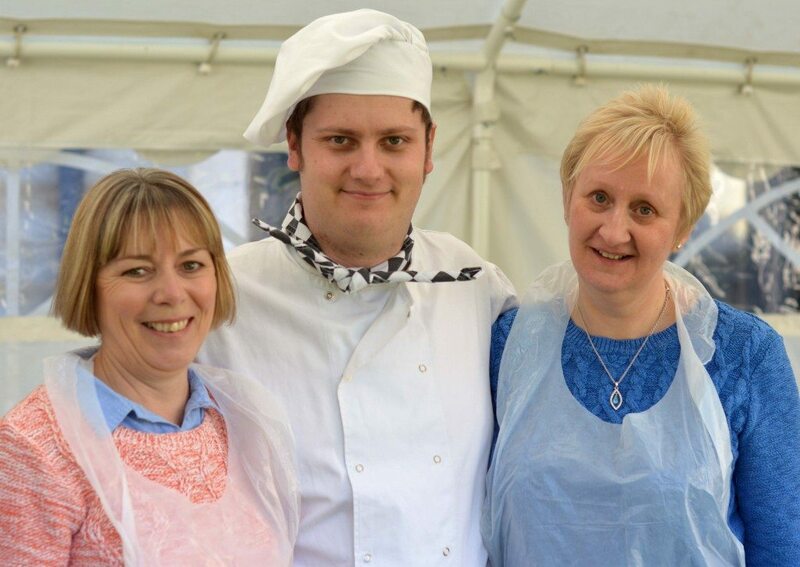 With the success of the Great British Bake Off, Master Chef and Hells Kitchen our superb cooking team events have never been so much in demand! Hugely successful with both men and women alike, they focus on creativity, time management and team work. We are constantly updating and creating new and exciting cooking events so why not take a look at the different events that we can offer your company or contact us to discuss your specific requirements. 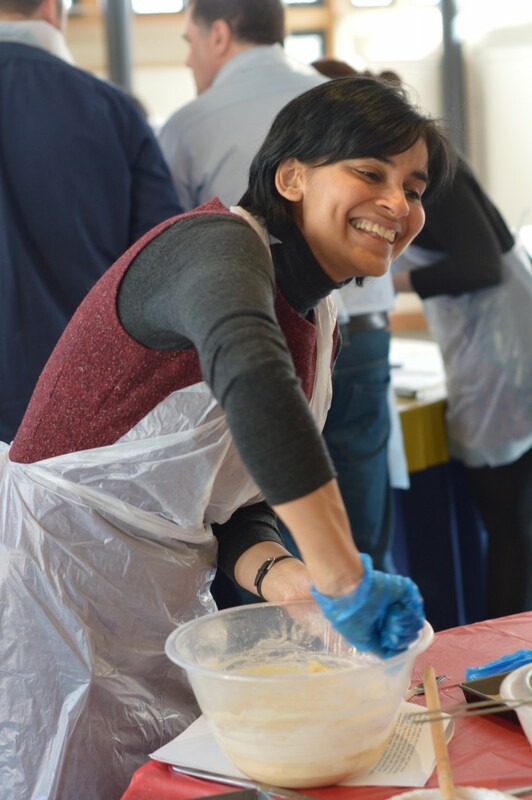 Want to find out more about our cooking team building events? Call us on 0800 083 1172 or complete our Contact Us form and we’ll call you back at a time to suit you. Company Bake Off! We’ve got a tasty selection of food based events for you to choose from and most excitingly, we’ve got further one’s in the pipeline too. 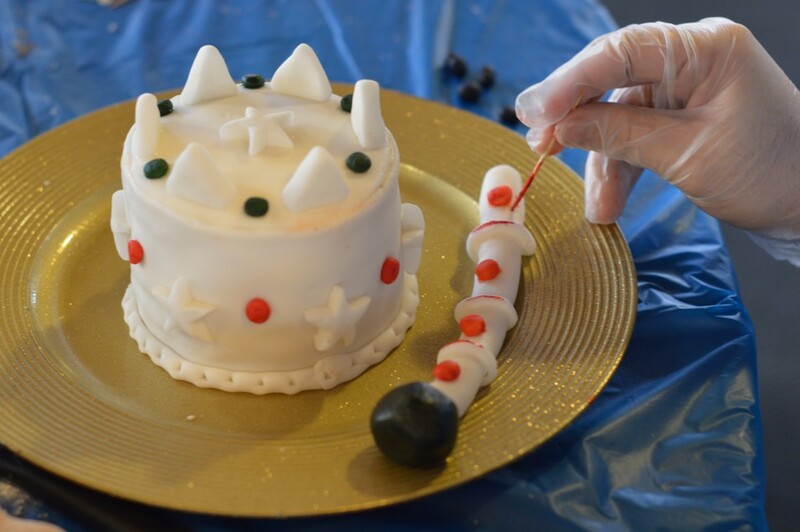 Always very popular is our wonderful Company Bake Off, based around the hit TV show Great British Bake Off, we put your teams to the test as they complete three different tasks against the clock. They have to successfully complete their Signature Bake which is always fantastic to watch as individuals discuss, plan and then execute their methods, they have a Technical Challenge which certainly puts them to test as they bake, rebake and then bake again to get it perfect and then of course the Show Stopper! It’s always incredible to see what lengths teams go to and ensure that they are star bakers and produce the best show-stopping creation! Each team always throws themselves into the event, the concentration in the room is incredible and the competitive spirit is high! 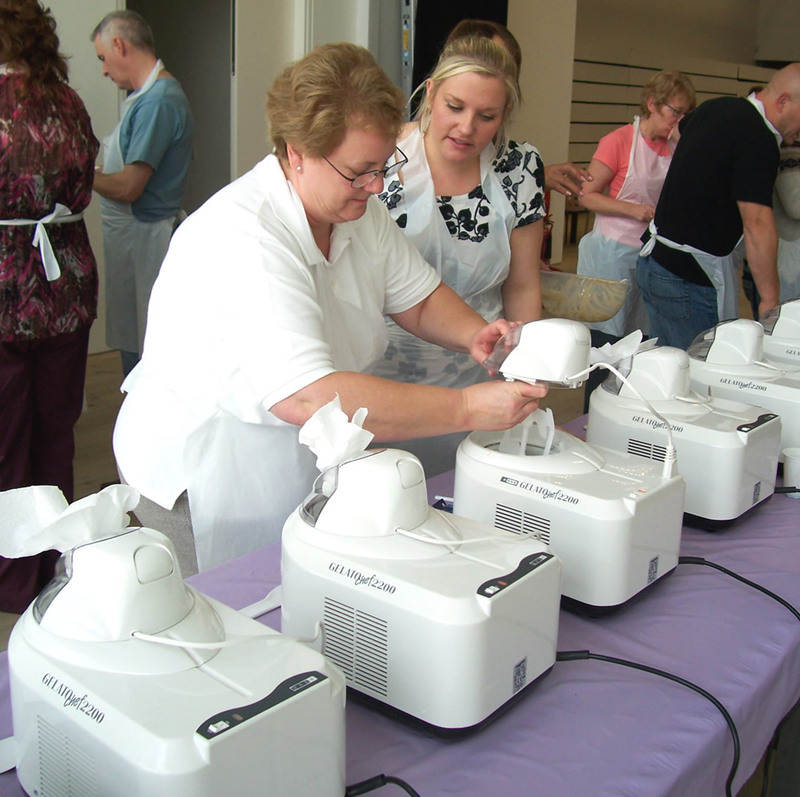 Ice Cream Making event is always refreshingly popular! With ingredients at the ready, your teams dream up, taste, manufacture and advertise a new flavour in ice cream – it’s always great fun, although we can’t always guarantee that we’ll like the flavours some teams produce! call us on 0800 083 1172 for more details. Cupcake Creations! 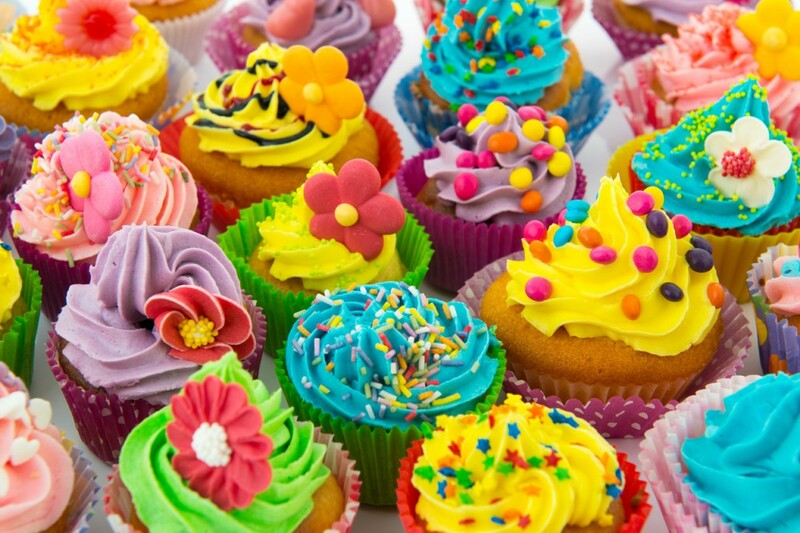 Everybody loves cupcakes and our cupcake team building event is ideal for those wanting to let their imagination run wild! If there’s time, your team will mix the ingredients and bake their own cupcakes, if time doesn’t allow then we will provide plain already baked cupcakes and then it’s up to your teams to create the theme for their range. These always produce stunningly fun results and the best bit is that your teams can either take their creations home or eat them themselves! 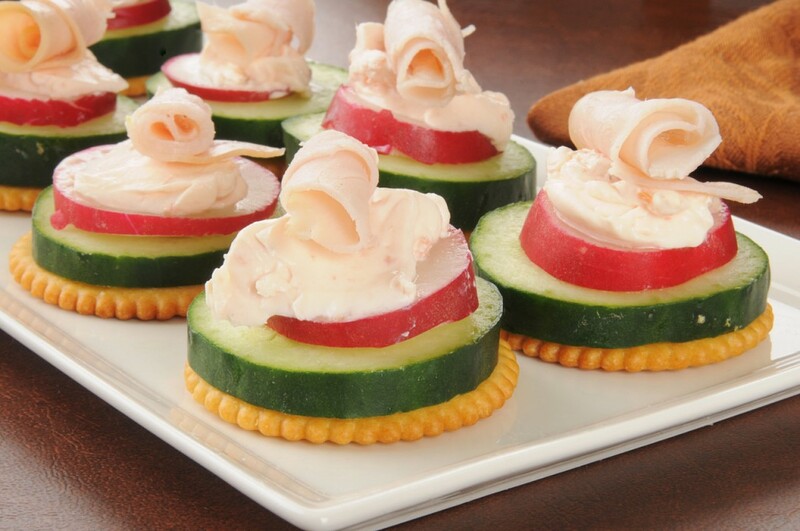 Canape Time! This creative cooking event is incredibly fun or should we say ‘edibly’ fun as all of the canape creations can be enjoyed by the teams. You can even combine your team building activity with your pre-dinner drinks by hosting our canape making event. Each team will receive some top notch advice and tips by our trained chefs before planning, devising and then creating their very own range of canapes. Once they’ve presented it to our panel of palette conscious chefs, the winning range of canapes will be announced and then all that’s left to do is to eat them! This is a fun and unique way of blending your team building activity with your evening dinner. Our Cooking Team Building events are hands-on and team focused, it doesn’t matter if you are a complete beginning or a competent cook, our events have something for everyone, each person will feel like they’ve contributed to the team effort. 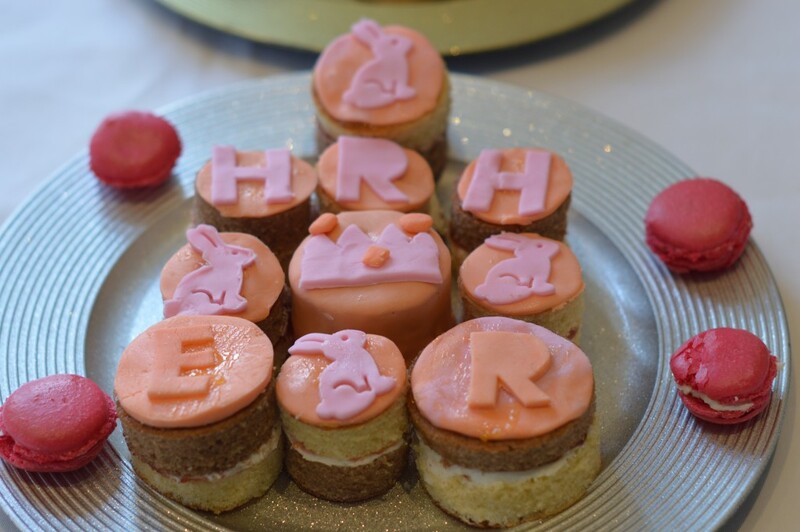 Through creativity, communication, time management and team work your team can create something special – and they can eat it! You only have to look at the television listings to see how popular cooking has become in the recent years. With celebrity chefs like Gordon Ramsey, Jamie Oliver and Paul Hollywood becoming household names, this is certainly a craze that’s captivated men and women alike throughout the nation! You can even combine your team building activity with your pre-dinner drinks by hosting our canape making event. Each team will receive some top notch advice and tips by our trained chefs before planning, devising and then creating their very own range of canapes. Once they’ve presented it to our panel of palette conscious chefs, the winning range of canapes will be announced and then all that’s left to do is to eat them! This is a fun and unique way of blending your team building activity with your evening dinner. 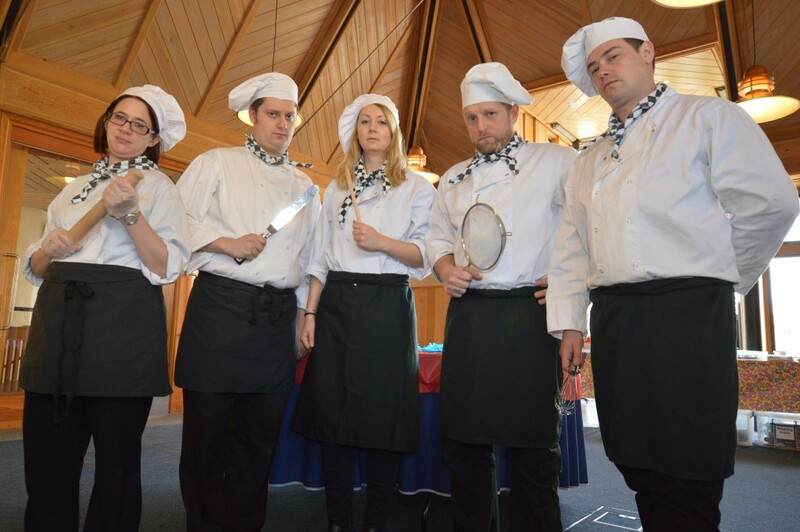 Are you looking to arrange a cooking team building event and don’t know where to start? Don’t worry, we can help you – just give our events team a call or drop us an email and we can talk you through all of the different events that are available to your company. That’s why there’s never been a better time to host a cooking team building event. Our cooking corporate events embrace team work, each our carefully designed events focus on team work, creativity and communication. If you’d like to find out more about our cooking events then please call 0800 083 1172 for further details.